This is a anodized aluminum plate that has a personal photo engraved on it. 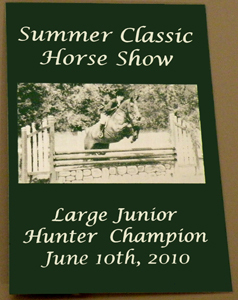 This plate can be put on one of our many wood plaques to be used for horse show awards or signs. The plate can also be purchased alone. This plate is forest green but we do have other color options for you to choose from. This is a aluminum plate that lasers black and has a personal photo engraved on it. 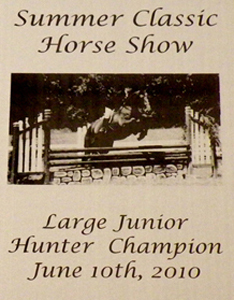 This plate can be put on one of our many wood plaques to be used for horse show awards or signs. The plate can also be purchased alone. This plate is gold but we do have other color options for you to choose from. This is a aluminum plate that lasers black and has a personal photo engraved on it. 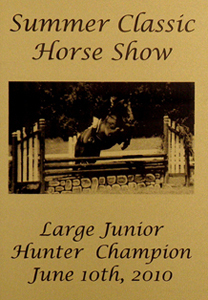 This plate can be put on one of our many wood plaques to be used for horse show awards or signs. The plate can also be purchased alone. This plate is silver but we do have other color options for you to choose from. 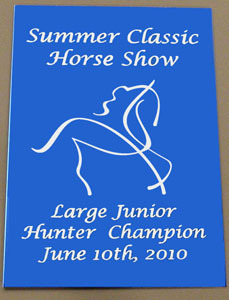 This is a anodized aluminum plate that has one of our horse designs engraved on it. 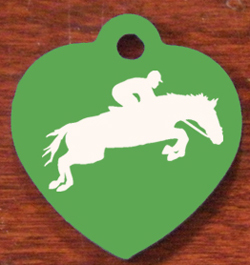 This plate can be put on one of our many wood plaques to be used for horse show awards or signs. The plate can also be purchased alone. This plate is blue but we do have other color options for you to choose from. 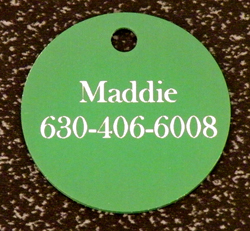 This is a anodized aluminum dog tag that has a personal photo engraved on it. This tag comes as a necklace or key ring. 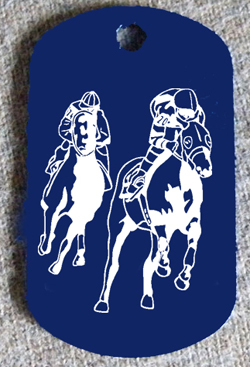 This is a anodized aluminum dog tag that has a horse design engraved on it. This tag comes as a necklace or key ring. 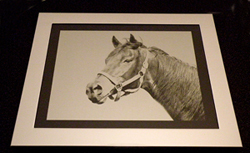 Choose from horse design or breed logo. This is a polished silver picture frame with a black aluminum plate. The plate was engraved with a personal photo. 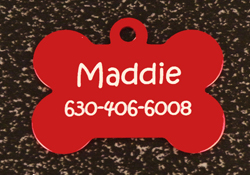 Aluminum dog bone id tag. Comes with 2 lines of engraved text. 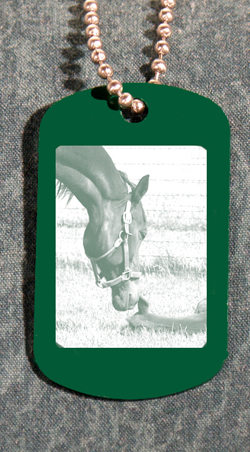 Aluminum dog / horse bridle id tag. Comes with 2 lines of engraved text. Aluminum circle tag. Comes with your choice of horse design, breed logo or dog design. Engraved text can be added to reverse side. 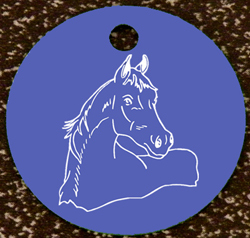 Aluminum laser engraved luggage tag with your choice of horse design, breed logo or dog design engraved on one side and your address info on the other side. Aluminum heart tag. Comes with your choice of horse design, breed logo or dog design. Engraved text can be added to reverse side.